Travis began working at Rohrer’s Quarry part-time during his summers off from college. In 1996, he graduated from Messiah College with a B.S. in Business Administration and began full-time employment in the business. Travis began his management responsibilities as the department manager of stone sales and delivery, lime and specialty products. In 2005, he managed the ready-mix concrete division as well. Today, he leads the Senior Management team as the third generation of owners developing the growth of Rohrer’s for the future. He enjoys the blessings and challenges of managing a family business and strives to promote Rohrer’s Incorporated as a positive contributor to the local community. Tim’s early responsibilities around the quarry included hot days with the paving crew, weed whacking and picking mud balls off the conveyors. Upon graduation from high school, he began learning the many responsibilities of mining the limestone to produce Rohrer’s current aggregates. In 1995, he became another third generation to co-own the business and lead it into the future. Today, Tim manages the daily quarry operations, crushing plant, Rohrer’s Service Center and maintenance department. He has a PA blasters license and is certified in blast vibration monitoring. Outside his business responsibilities, Tim teaches Sunday School at his church and enjoys hunting, fishing, hiking and refinishing furniture. He lives in Lititz with his wife, Laurie, their four children and two hunting dogs. Troy grew up in Reinholds and now lives in Annville. Troy began working for Rohrer’s Concrete in spring of 2000 as a mixer driver. He promptly moved from a mixer driver to refurbishing the Rohrer’s mixers and maintaining the concrete plant. Within a few years, Troy became the Assistant Concrete Plant Manager, in addition to dispatching the concrete trucks to local construction sites. The development of new relationships with other concrete producers and freight handlers also allowed him to understand all sides of the industry. His experience and relationships in the industry led him to become V.P. of Concrete Operations and part of Senior Management in spring 2012. When away from his job responsibilities, Troy enjoys spending time with his daughter, horseback riding, hunting and fishing. 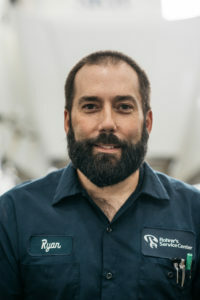 Ryan began working for Rohrer’s Service Center in August 1997, when the shop opened to the public, as an automotive technician. As one of three mechanics, his duties did not stop at cars and light trucks: he began to learn the truck and equipment side of the shop’s business. The business grew quickly and Ryan moved into a lead tech position, taking on the many challenges of an ever-changing industry. In 2014, he took on the role of shop foreman to oversee daily operations in the shop. Today Ryan manages the shop and serves as part of the Senior Management Team. When he is away from his responsibilities at the shop, Ryan enjoys hunting, snowmobiling and vacations with his wife and three sons. Tom grew up in the Lewisburg area. Upon graduation from high school, he attended Bloomsburg University of Pennsylvania where he received a B.S. in Business Administration. He is also a Certified Public Accountant. Tom moved to this area in the late 1980’s to work for a local accounting firm. In 1995, Tom became a part of Rohrer’s Quarry as the company’s controller. As CFO, he continues to manage the financial growth of this family business. 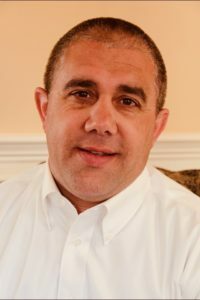 When he is outside the office, he enjoys volunteering on various boards of local organizations, and boating and vacationing with his wife and family.